International speaker and executive coach, Bonnie Marcus has helped thousands of high-achieving women navigate their career and learn the rules of the game. She brings her passion of helping professional women succeed to radio. GPS Your Career: A Woman’s Guide to Success provides professional women with expert advice and resources on topics that are critical to career advancement and business growth. Tune in for great tips to help you successfully navigate the workplace today. 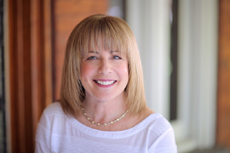 Bonnie Marcus, M.Ed., CEC, is a Certified Executive Coach, author, and professional speaker. As the founder and principal of Women’s Success Coaching, Bonnie assists professional women to position and promote themselves for success in business.With 20+ years of sales and management experience, Bonnie has an extensive business background including CEO of a ServiceMaster company and VP of Sales at Medical Staffing Network and two others national companies in the healthcare and software industries. She has held executive positions in startup companies and Fortune 500 companies.